Joe Toreno for ESPN The Magazine Superfan, Clipper Darrell. A lot of people love sports. Some of them more than others. 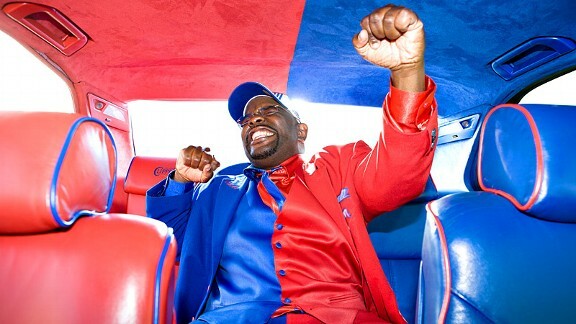 Some so much that they dye their ride Clippers’ colors and wear a red-and-royal blue suit to Staples (see: Clipper Darrell above). Without them, there is no us. So in each issue of ESPN The Magazine, we salute one chosen diehard — and if he or she isn’t already an Insider, we return the love with a free one-year subscription.